Excellent Revenue property. 8 unit multi-family building. 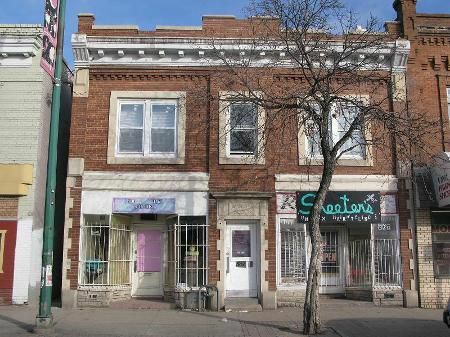 2 commercial on main level and 2 one bedrooms suites. There are 4 suits on the upper level, 2- 2 bedrooms and 2-1 bedrooms. $45,000 annual income. Separate hydro meters. Tenants pay hydro.